Post-Mendelian breeding and computational agronomy could help feed the growing world population while preserving the health of our planet. Some assertions are repeated so often they become common wisdom. It is often said that the globe’s population will reach 10 billion people around 2050 and that we will need to produce more food in the next 40 years than in the last 10,000. In truth, no one knows if these data are correct. We’ll know for sure in 2050. What we do know is that to feed everyone well and sustainably, we must reimagine agriculture. We could produce enough calories to feed 10 billion today. But not in a future roiled by climate change, when consumers will also have different expectations of their food. To meet the challenges of that future, we’ll need crops that can tolerate rising temperatures or storms and droughts, and are less dependent on pesticides and fertilizers to satisfy consumers who want to know where their food came from and how it was produced. The challenges of the future will demand a revolution in how and where crops are grown and sold. In the last century, agricultural outputs boomed, driven by the expanded use of irrigation, chemical fertilizers, mechanized cultivation, and high-yield plant breeds. In particular, Norman Borlaug’s Green Revolution created high-yield wheat and rice varieties that transformed agriculture around the globe, saving millions from starvation. These technologies were adopted widely. To give just one example, the biotech seed market grew from 1.7m hectares in 1996 to more than 189 million hectares in 2017, when the biotech crop adoption rate in the top five biotech crop-growing countries approached saturation. But these mature technologies are unable to protect our food system and our planet: Their impact is flattening. What’s more, their development is too expensive and slow. It costs around $125 million and takes more than 10 years to develop a single desirable biotech seed trait. In response, seed companies are forced sell the same products in as many geographies as possible to justify the high costs of developing a new product, resulting in public worries about the health effects of crops and regulatory concerns about their environmental impacts. Everywhere, consumers are unhappy with the unsustainable, opaque industrial agricultural system that now dominates world food production. They dislike big ag’s inputs of pesticides and fertilizers and its outputs of poor quality food. We could produce enough calories to feed 10 billion today. But not in a future roiled by climate change. Fortunately, breakthroughs in digital, human, and plant sciences can speed up seed development and facilitate new ways of farming. Sophisticated computational models that scientifically analyze land performance, plant productivity, and environmental conditions can help farmers and agricultural companies understand what happened in the past in order to simulate and predict how a field and a crop will perform under unfamiliar or volatile environmental conditions in the future. 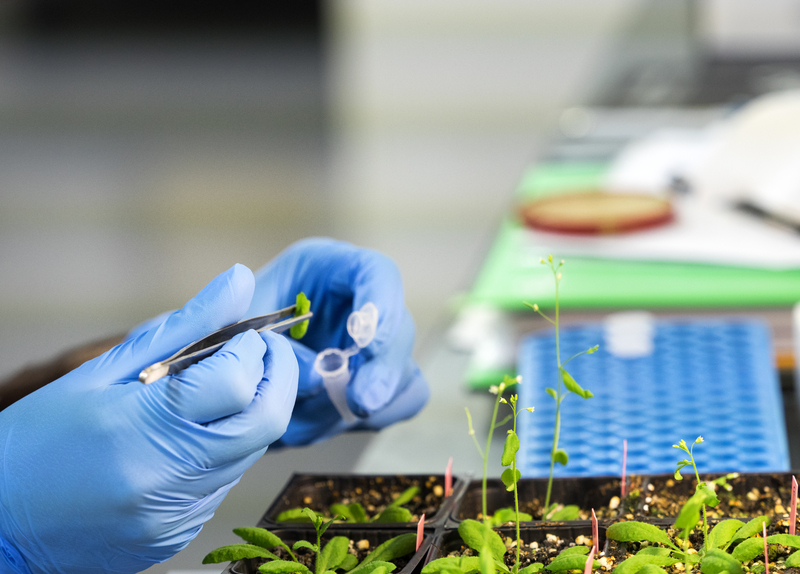 At the same time, transformational breeding technologies enable a new generation of seed companies to make precise alterations to plant genomes and epigenomes with unprecedented speed and scale. We can now imagine a future in which the combination of these technology platforms allowed humankind to reinvent how we breed, develop, and grow crops. What if we could combine state-of-the-art computational land and agronomic models with cutting-edge breeding technologies, developing new seeds with multiple traits that are adapted to particular environments or even individual fields? What if these seeds were developed significantly faster and more cheaply? What if we could forecast future climate scenarios for different regions, environments, and fields, and started working on products now, so that they were ready for a new climate when it arrived? At Flagship Pioneering, we started to dream about this future years ago. We created two companies, CiBO Technologies and Inari Agriculture, that are developing independent but complementary platforms. CiBO Technologies (founded in 2015 as FL29 inside Flagship Labs, our innovation foundry) is developing the world’s first computational agriculture platform able to understand, simulate, and optimize agricultural outcomes. The platform captures the cause-and-effect relationships of both the economic and environmental potential of farmland (for example, profit per acre, water use, carbon emissions, nitrogen leaching). CiBO’s platfom doesn’t depend on data gathered by farmers or agronomists; instead, the company’s scientifically based systems approach captures information by crop and by geography with unprecedented speed and scale. The two platforms, working in harmony, can digitize and virtualize the seed industry from beginning to end — or, more interestingly, from the end to the beginning. First, CiBO’s scientific, scalable platform makes it possible to capture the land performance and the spatial and temporal variability of crop growth and yield; truly understand what happens in each field; and simulate different scenarios depending on the seed genetics, management regime, and so on. Figure 1. Crop yield stability maps for millions of fields in the US. (Courtesy of Bruno Basso, cofounder of CiBO Technologies). Second, using the unique insights generated by CiBO’s technology, Inari’s computational approach to plant breeding can simulate the ideal seed for particular environments and then develop a product that can be tested in a virtual environment. By following this dual approach, Flagship is transforming how seeds are developed and sold. We are moving from a model all too similar to the pharmaceutical industry and its dependence on blockbuster drugs, where cycles are long and investments are high, to a model analogous to the software industry, where cycles are short and investments relatively small, and new products are introduced every year. Together, CiBO and Inari will develop new products and update the seeds based on new discoveries and evolving demands. As if we were updating software in the seeds, crops will be continually tailored to each environment and will therefore be more profitable for farmers as well as more nutritious for consumers and more sustainable for the environment. This future brings to mind what happened to Nokia, Motorola, and Blackberry — big companies that were unable to adapt to the challenges of smartphones and modern information networks. Will something similar happen to big ag, or will it adjust to the new reality? What do you think? Share your thoughts with Ignacio on Twitter.